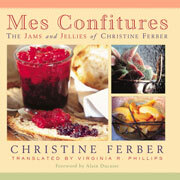 When I first opened Christine Ferber’s Mes Confitures nearly a decade ago, I was surprised–étonnée, one might say–to find the book filled with fussy measures and overly precise instructions. This was a cookbook written by a home cook from France, a country where an ability to summon something from nothing by playing fast and loose with pantry ingredients is considered a birthright and where summoning elegant menus without mindlessly mimicking recipes to the letter has long been lauded as art. This gem of a winter recipe necessitates patience–and not just in terms of waiting for blood orange season to come around again. It requires resting time on the part of the ingredients. It’s perhaps best undertaken on a weekend, when you have a spare moment to actually slow down and revel in what’s perhaps best described as the opposite of immediate gratification–in the best possible way. 1. Rinse the apples under cool running water. Remove the stems and cut the apples into quarters without peeling them. 2. Place the apples in a preserving pan or other large, wide pot and cover with 3 1/4 cups of the water. Bring to a full boil, then reduce the heat to low and simmer gently for 30 minutes. The apples should be soft. 3. Collect the juice by straining the apple mixture into a large bowl, lightly pressing on the apples with the back of a skimmer or a spoon. Discard the solids. 4. Filter the juice a second time by pouring it through cheesecloth that was wet under cool running water and wrung out, letting the juice run freely into a glass container. Refrigerate the juice overnight. 5. Measure 2 1/8 cups of the apple juice, leaving in the container the sediment that formed overnight. Discard the remaining juice and sediment. 6. 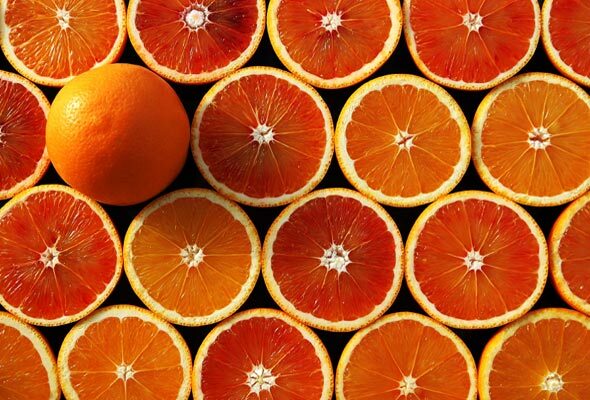 Squeeze the blood oranges, saving any seeds, until you have 2 1/8 cups of juice. Place the seeds in a cheesecloth bag. 7. Rinse and scrub the navel oranges under cool running water. Slice the oranges into very thin rounds. 8. Place the sliced oranges in a preserving pan or other large, wide pot. Add 1 cup of sugar and the remaining 7/8 cup of water and bring to a gentle boil. Reduce the heat to medium and gently simmer until the slices are translucent. 9. Add the reserved apple juice, blood orange juice, the remaining 4 2/3 cups of sugar, the lemon juice, and the reserved orange seeds in cheesecloth. Bring to a boil, stirring gently. Skim any foam from the surface. Continue cooking on high heat, stirring constantly, for about 10 minutes. Skim again if need be. Remove the cheesecloth with the seeds. Return to a boil. Remove from the heat. 10. Immediately ladle the jam into hot, sterilized jars and seal. Blood Orange Marmalade Recipe © 2002 Christine Ferber. Photo © 2006 Kemter. All rights reserved. All recipes and photos used with permission of the publisher.